The story of Charlie Bucket, a little boy with no money and a good heart, who dreams wistfully of being able to buy the candy that other children enjoy. 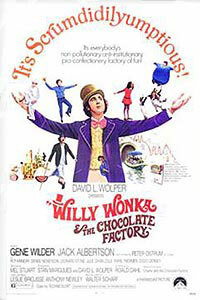 Charlie enters into a magical world when he wins one of five 'Golden Tickets' to visit the mysterious chocolate factory owned by the eccentric Willy Wonka and run by his capable crew of Oompa-Loompas. Once behind the gates, a cast of characters join Charlie and Grandpa Joe on a journey to discover that a kind heart is a far finer possession than a sweet tooth.